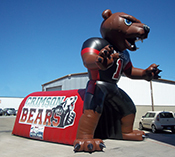 Cogswell Creations Inflatable Mascot Tunnel has bold graphics, highly detailed features, and is customized to your specifications. 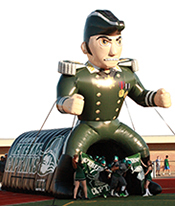 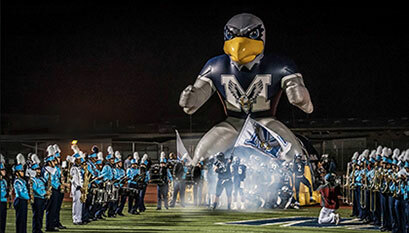 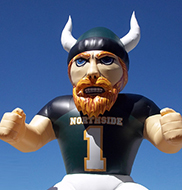 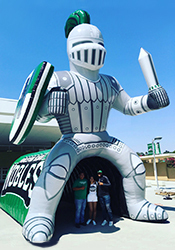 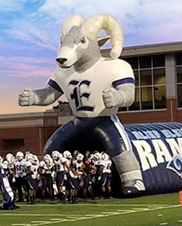 The 24 foot tall, standing mascot is built onto the front of our 10 foot tall, 10 foot wide Medium size tunnel, creating an integrated inflatable shape that uses a single blower. 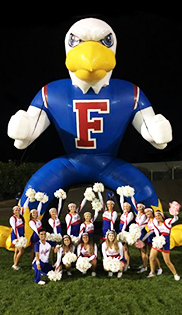 The mascot character can be wearing a sweater style jersey with your team colors and logo, or we can match your existing uniform jersey and pants. 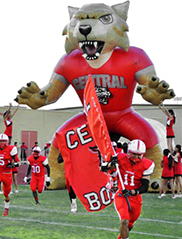 The jersey graphics, along with the facial features and other character details, are included in the base price. 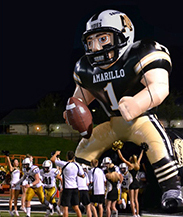 There are three available Mascot Tunnel packages. 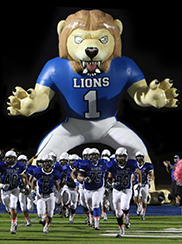 The size and detail of the mascot character itself is the same in each version, but there are different tunnel options. 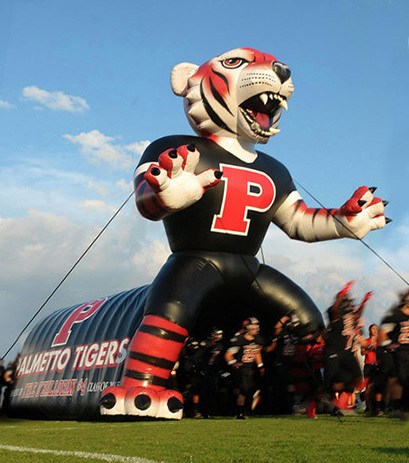 The Standard Mascot Tunnel is a 20 foot long one-color tunnel with no graphics on the side. 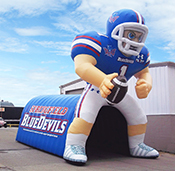 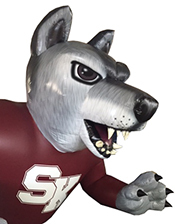 The Mascot SuperTunnel version has a 25 foot long base tunnel with large digitally-printed graphics. 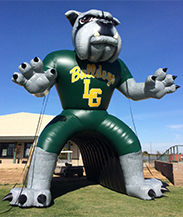 We also offer a Standard Mascot Plus which is the Standard length tunnel with artwork on the tunnel sides. 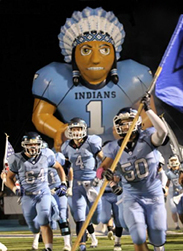 There are many different mascots available, some of which are shown here, and you can see more specifics and details on the pricing page. 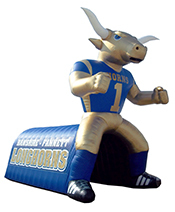 Drop us an email or give us a call today to discuss your project!